Iosys Akiba Chuo Dori is the main Akihabara Branch of Iosys. Iosys is a second hand computer and electronics shop with several outlets located all around Japan, which is specialized in used sim free and overseas smartphones, tablets, netbooks, computer accessories and electronic gadgets. The Chuo Dori branch is located on Akihabara’s main street, it’s the biggest Iosys in the neighbourhood and features two consecutive entrances on the ground floor, which are separated by the main entrance to the building. Iosys’s most popular and publicised products are second hand sim free smartphones, which range from the latest high end models to older, but cheaper, versions. A wide selection of smartphone accessories, such as cables, chargers and covers, can also be found here. Besides smartphones and tablets, Iosys also carries an important quantity of used laptop computers and netbooks. These, of course, come with Japanese operating systems installed, so bare in mind that they won’t be usable for foreign costumers unless a new system is installed. 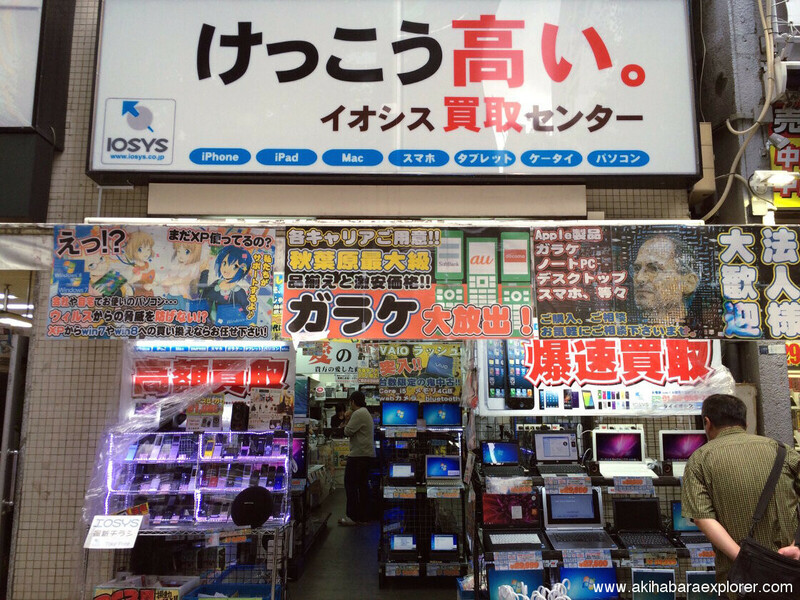 Iosys is mainly a second hand shop, to their stock greatly varies from day to day and branch to branch. 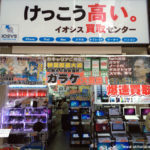 To keep up with the latest updates of Iosys Akiba Chuo Dori branch, we recommend to follow their twitter account.